Auli is the one and only ski destination in Uttarakhand more popular than Shimla, Gulmarg or Manali.Located in Chamoli district of Uttarakhand Auli originally termed as Bugyal or meadwos came into limelight after creation of state of Uttarakhand also termed as Devbhumi(Lands of Gods) due to presence of most important pilgrimage holy places in this state mainly the 'Char Dham' (Barinath--Kedarnath-Gangotri-Yamunotri).Auli has become ideal overnight halt for tourist visitng Badrinath. Auli is fenced with oak and coniferous forests offering 360 degree sights of mighty Himalayas.With 4.20 Kms long cable car becoming operational it is very convienent to reach this place in 35 min from Joshimath.While Skiing remains the primary of Auli attractions Auli is also known for plenty of treks routes and amazing views. Every year skiing competition is organised between January to March with world fame skier participate in it. The snow fed slopes of Auli is a perfect spot for those who love to be in the midst of something, which rises the Adrenaline level of the body. A delightful place for the skiing lots, these slopes are considered as the best ones in the world. 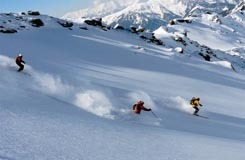 A clean expansion of 10-20 km of snow clad mountain slopes of Auli provides a unique experience of skiing. Besides this, it offers an extensive 500 m ski lift and 800 m lengthy chair-lift link through the greater and lesser slopes. Located at an altitude of 23,490 ft above sea level, Trishul Peak in Auli is the place where most of the Skiing activity takes place. Located in the Kumaon region, the place is known for offering skiing slopes for beginners and is also popular for having the famous Nanda Devi National Park. 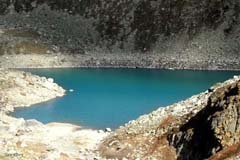 The place also has a mystical lake, Roopkund, located on the foot of the peak. The lake is also known as Mystery Lake, because of the 600 skeletal remains of humans and horses that were discovered here. 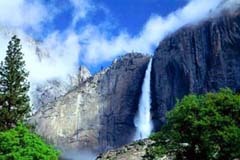 The place is ideal for trekking as well. A sacred place at the convergence of two holy rivers, Nandaprayag in the Chamoli District of Uttarakhand serves as the beautiful entry point to the much revered pilgrim centres of Badarinath and Kedarnath. This scenic locale offers splendorous vistas like the snowy peaks and marvelous landscapes. These stunning sceneries and holy darshan in sacred shrines make your tour to this majestic entry point a beguiling experience. 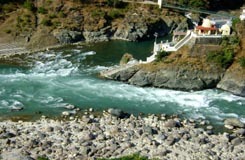 Placed in the convergence of the majestic rivers Mandakini and Alaknanda, Rudraprayag is the holy abode of Lord Shiva. 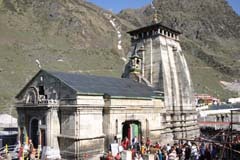 Its proximity to the sacred shrines like Badarinath and Kedarnath makes it a busy pilgrim centre in Uttarakhand. 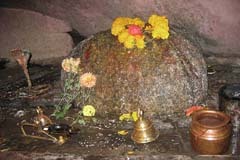 The popular belief is that it was here that lord Shiva in his Rudra incarnation had appeared before Narada.Folklore is that this is the same place where Sati took her rebirth after her tragic death.This serene place holds Rudranath and Chamunda Devi temples, worthy for everyone's visit. While festivals take place only on select days, the Pujas and Aartis are a daily occurrence. In the morning you can witness the Maha Abhishek, Gitapath and Bhagvat Puja. In the evening it is the splendid Aarti and Geet Govind that will keep you spellbound. Unlike other places, the Aarti in the evening is an elaborate ritual with the idol being anointed with sandalwood paste that is later distributed to devotees along with sugar and dry leaves. As per the name depicts, bhavishya kedar will be the future home of kedarnathji. 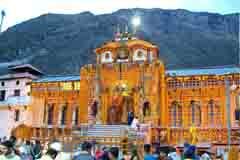 It is believed that a destructive landslide at the end of kali yugas (eras) will block way to badrinath and badrivishal will shifted to bhavishya badri simultaneously, kedarnathji will also move to bhavishya kedar in joshimath. Chattrakund is a small lake, in the middle of the jungle, where the water is believed to be sweet. It is about a kilometer from Gurso Bugyal and 4 km from Auli. 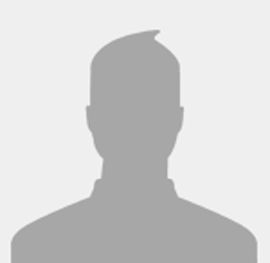 The nearest airport is Dehradun, about 298 km from Auli. 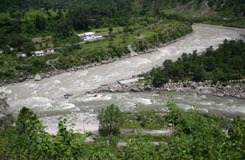 The nearest railhead, Rishikesh is 235 km from Auli. 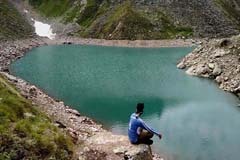 The least discovered and not so visited Chenab Lake is worth a visit for the calm and serene atmosphere that it offers.The virginity of this place holds the sights of tourists and makes it an enchanting spot.In the Garhawal Himalayas, there are still some areas which are virgin and unexplored. One such trail is the one that will lead you to Chenab Lake. India’s oldest recorded living tree is this massive 12-century-old Himalayan mulberry(Morus serrata). 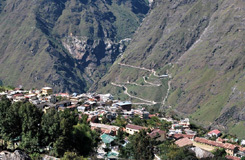 It stands in the town of Joshimath, Uttarakhand. The species is native to the Himalayas and the mountains of SW China. 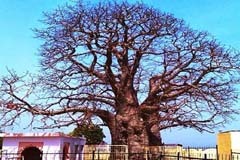 This specific tree has been named kalpavriksha., It has a 25 meter [83½ ft.] diameter and stands on a hillock near the cave of 8th century Guru Adi Shankaracharya. 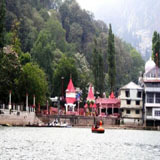 In Kalpeshwar Temple Lord Shiva is worshipped in his divine form of Jatas (Hairs). 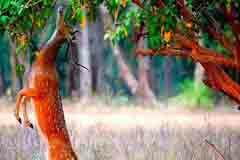 It is believed that in ancient times when Pandvas did Kurukshetra war and killed their relatives and brothers. Then they wanted to get pardoned by Lord Shiva but Lord Shiva didn’t want to meet them as he was convinced that they were dishonest and did a fratricidal sin. One of the most serene and tranquil of national parks in the country, the Nanda Devi National Park in Uttarakhand is a paradise for nature lovers and those who seek to immerse themselves in the beauty of nature. 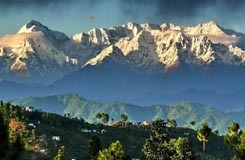 Covering an area of more than 630 square kilometers, the Nanda Devi park, when combined with the Nanda Devi Biosphere Reserve, is 2,236 square kilometers. Being located at an elevation of 3350 m above sea level, Kwani Bugyal is prefect place for trekkers. 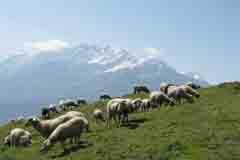 During summer tourists throng this place to have a terrific experience in trekking. Trekkers can hire porters, guides, camping equipments and cook from the Joshimath base camp.It is a popular destination with trekkers situated 12kms from Gurso Bugyal at an elevation of 3,380mts above sea level. Satopanth is the place that leads the way to the Swargarohini peak from where according to the Mahabharata, Yudhishthir and the dog were sent to the heaven. 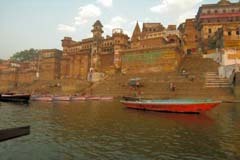 Also, the lake is believed to be the point where Bheema was denied to enter the heaven. 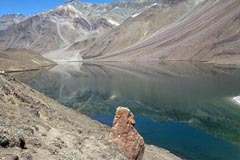 With clean and pure water, Satopanth Lake offers breathtaking views to the travelers. Vasudhara Falls is a natural waterfall situated near Badrinath, the temple dedicated to Vishnu in Uttarakhand, India. It is a 5 km trek from Mana village (3 km from Badrinath). 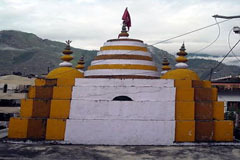 Mana is accessible by road from Badrinath. The trek starts from Mana village, along a stoned path. 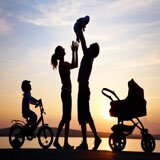 The first 2–3 kilometres are comparatively easy to walk but after that the road is quite steep. While temperaturs are between 15℃ to 25 ℃ In summers winters are extremely cold with avergae temperature of -4℃. Monsoon prevalis from July till September. 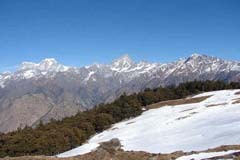 Weather remains highly unstable in this place during winters.With high peaks like Mana, Kamet and mightiest of all Nanda Devi ringed around Auli hill station offering the overwhelming views of snow covered mountains giving peace and tranquilty in abundance.Auli is at 10 hrs/300 Kms distance from nearest Jolly Grant Airport and 18 hrs/515 Kms distance from New Delhi International Airport. 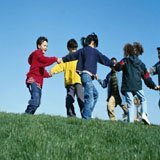 There are plenty of Auli tourist attractions,things to see in Auli, and one can choose from range of activities available or things to do in Auli which can be a walk in the green forests areas, adventure treks. 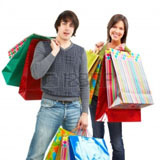 If you are searching for Auli attractions,sightseeing in Auli,best places to visit Auli,things to see in Auli,tourist places in Auli by list,tourism point Auli,tourist attractions near Auli, places worth visiting Auli, Auli holidays, Auli tourist spots, see Auli uttarakhand, best attractions in Auli, tourist attractions in Auli, local sightseeing in Auli, attractions in Auli uttarakhand,places for sightseeing in Auli,Auli peak, places of tourist interest in Auli,what to see in Auli,sightseeing around Auli, list of famous tourist spots in Auli Uttarakhand,Auli sightseeing places your search ends at allseasonsz.com for the likings of all age groups. There are tourist places near by Auli offering majestic views of Himalayan peaks.Allseasonsz.com Uttarakhand best travel agents required for making your Auli trip memorable. 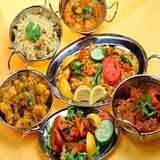 Whether it is about sightseeing around Auli, Auli excursions, Auli places to visit, tourist attractions around Auli-Allseasonsz.com Uttarakhand is convenant to propose amazing Auli Packages offers and deals for your tour. 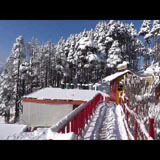 Come explore the lively Auli Attractions,Uttarakhand with Allseasonsz.com-Uttarakhand Travel and Tourism Empire since last 20 years.It is our world and our world is your Oyster!